This place is really busy.. 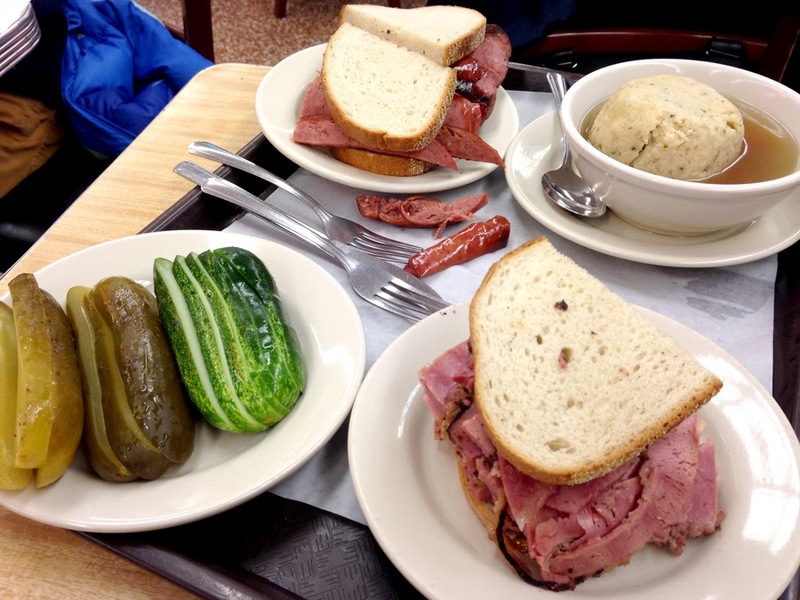 Such typical NYC deli! I like how it's well kept. 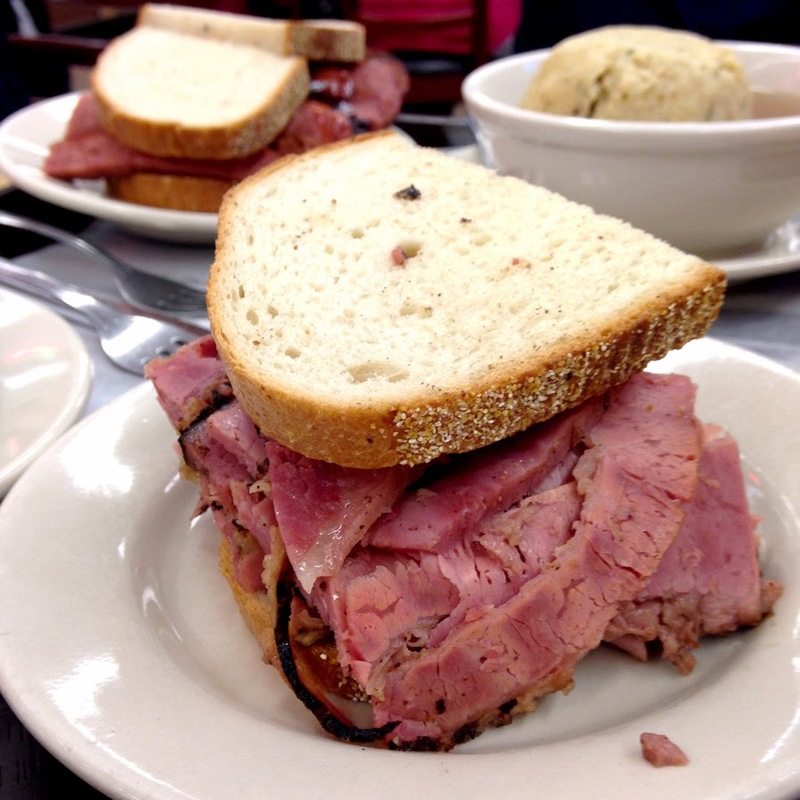 I've never had Jewish food before, for the obvious reasons! It was tad bit confusing for me as a first timer! 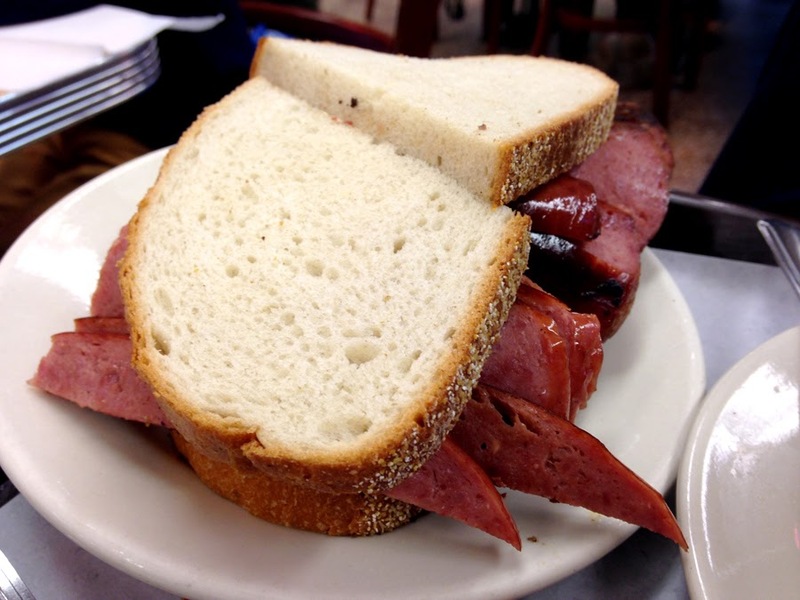 Though I have to admit their knoblewurst suits me more than the traditional pastrami! The garlic sausage smells (and tastes) sooooo good! 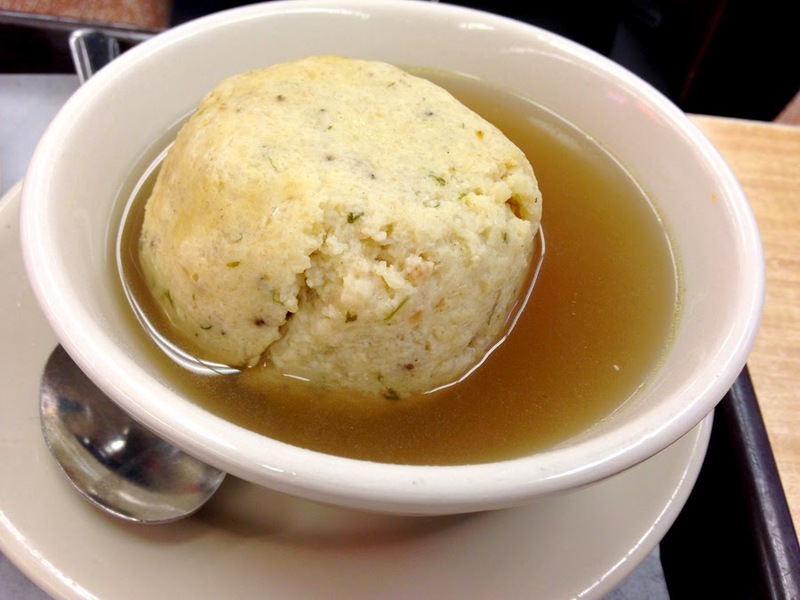 The Matzo ball soup! It's quite starchy.. like a dough ball. It's quite bland though it goes well with the salty chicken soup.